Each $29 box contains 36 packs. Each pack contains 16 cards. The New Order is the third expansion following Ivory Edition and includes 156 new cards (56 common, 50 uncommon, 50 rare). 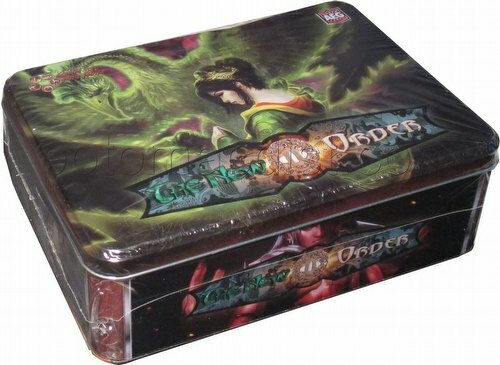 Each New Order booster pack includes 10 commons, 4 uncommons, 1 rare, 1 premium card, and a chance for a foil card.